Unlike last year when the Superdome in New Orleans lost power in the 3rd quarter, this year the power outage at the Super Bowl was the Denver Broncos offense. Despite the lack of excitement in the game activity in social media was burning up. 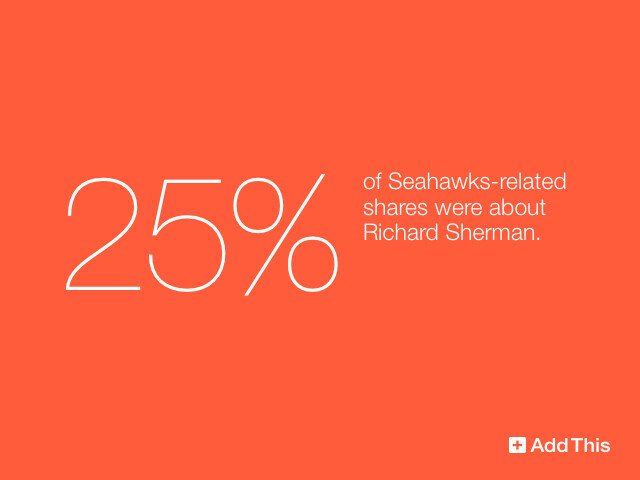 On Sunday, we’ll all gather around our TVs, phones and tablets to watch the Super Bowl XLVIII. Whether you are watching as a diehard Seahawks or Broncos fan, or just tuning in for Bruno Mars and the commercials, the day captures the majority of Americans attention as almost any national holiday. 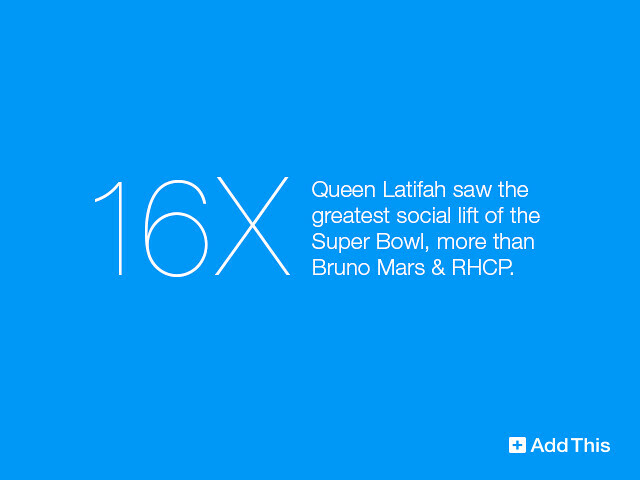 Now that the victory parade has wrapped up, it’s time to recap this year’s Super Bowl. This year’s game definitely will be remembered for the power outage, the big lead the Ravens built, the great comeback that fell just short for the 49ers and, of course, the ads. Getting Excited for Super Sunday? It is that time again for America’s favorite sporting event, the Super Bowl. The ads, the halftime show, and of course the game all come together for a 4+ hour event that is celebrated with friends, family and food. 2012 was the most socially active year ever on the Internet. We had the most social Olympics ever, the most social Election ever and overall sharing increased 23% from 2011. Hard to believe it’s that time again but we took our annual look back at the year in sharing. Check out the Social Sharing Trends of 2012 below for a look at top social moments of the year and how social services and networks fared. Now on more than 14 million domains, this data is based on the open web’s largest source of behavioral data. We hope you had a great 2012, and wish you an even better 2013. After 2.5 years and over $2B spent by both candidates, we have arrived at election day. Pundits from both sides are predicting comfortable victories, but what does the data say? If online behavior is any indication, neither candidate should feel all that comfortable and the margin of victory will be close. Check out the infographic we put together based on AddThis network data since the conventions ended. Stay tuned as we’ll wrap up the election coverage tomorrow and see how close our data matches the results. Most importantly, if you are a US Citizen exercise your right to go vote today!